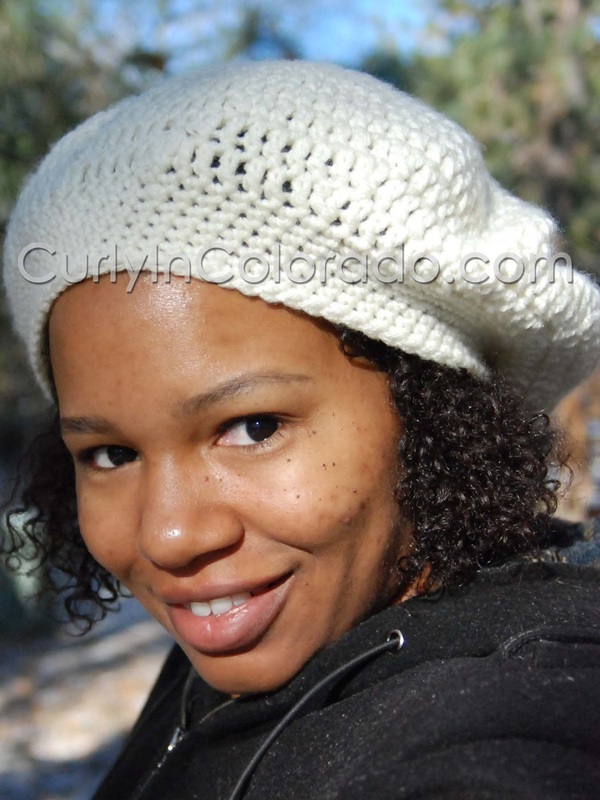 This time of year is always very harsh on my hair and skin due to the dry climate here in Colorado. I decided to start doing deep conditioning treatments twice a week for added moisture during the winter months. 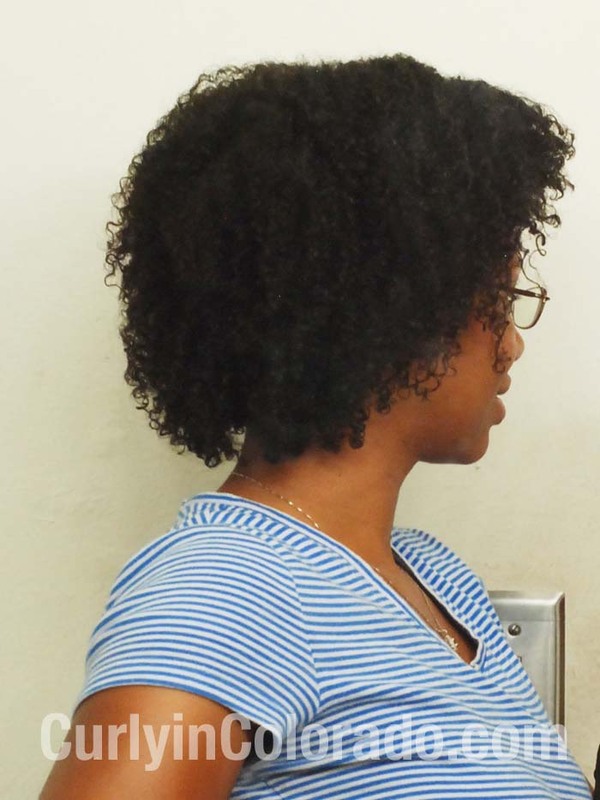 The wash n’ go style is perfect for this because I’m usually done with the style after two or three days. Plus, I’ve been reading and watching how other naturals noticed significant growth while wearing the wash n’ go because of the more frequent washing. I tend to believe that a clean healthy scalp is one contributing factor to this but also the introduction of moisture multiple times per week. Thing is, it’s winter in Colorado! Leaving the house with wet hair is not happenin’ right now. 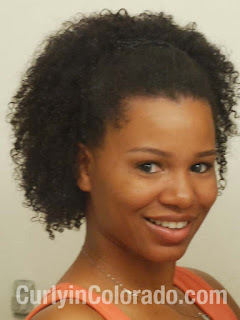 Instead of waiting until the spring to rock my curly fro, I looked at a few videos by one of my favorite naturals, anaturalbeauty3. 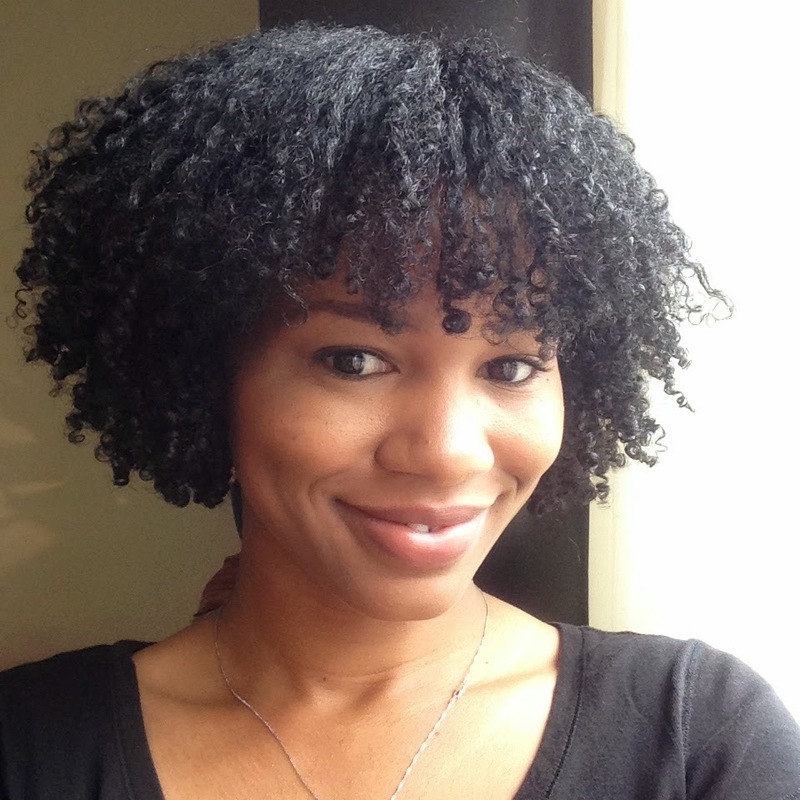 She’s been natural for 2 years and is currently residing in Cali. Her video on her night time routine illustrates how she puts her curly hair up at night to stretch it out. I sent her a message asking how she went about reviving the style in the morning. 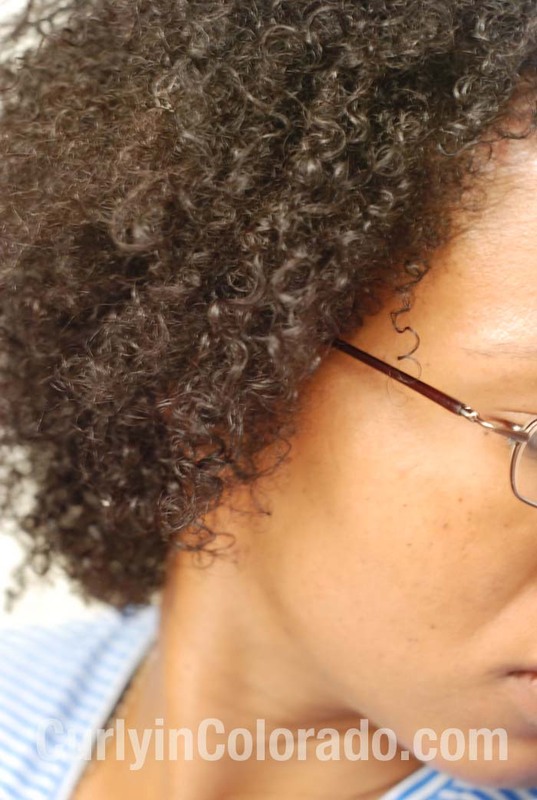 She replied back that she scrunches her hair with Shea Moistures’ Curl Enhancing Smoothie to wake up the curls. This was a light bulb moment! Once I realized that there wasn’t any need to leave the house with a dripping wet head I was on it. The Curl Enhancing Smoothie product is not available locally so I decided to try my Palmers Coconut Oil Replinishing Hair Milk. I thought it would work because of it’s creamy, but wet texture. I know it plays well with Eco Styler Gel so it was worth a try. After a few attempts, I was able to come up with a routine. The trick is to apply my usual products for my wash n’ go in the evening. Once it has air dried for a couple of hours, I use the diffuser to get my hair completely dry. This sets my curls before I wrap it up. Then, just like in the video, I pull my hair back and secure it with a hair tie. Any short strands can be pinned down. I then wrap it with a satin scarf and put on my satin bonnet. In the morning I just take my hair down, scrunch in some product and that’s it. 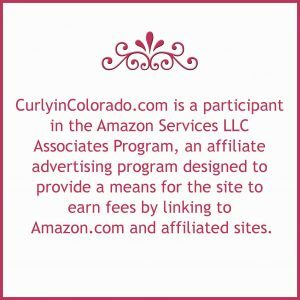 I’m so glad to have found this method because it has resulted in hair that is soft, moisturized and easy to style. 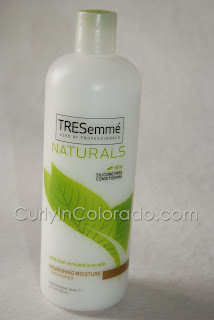 I’m constantly on the look out for good conditioners that are budget friendly. Since I co-wash, deep condition and detangle my hair on a weekly basis, I end up going through a lot of conditoner. Thing is, it also has to be something that my husband feels comfortable using as well. Let’s face it, his hair is way longer than mine and he is just as concerned about his tresses as I am (well maybe not that much). This rules out anything that will leave him smelling like pina colada when he leaves the house. We’re also picky about the ingredients so, no silicones. Overall, I consider this an excellent value for the amount of product you get. The fact that it doesn’t have a bad reaction when I use it as a leave-in under Eco Styler gel has put this on my staples list. 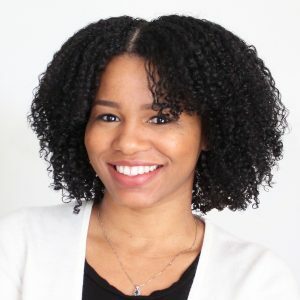 The Naturals line can be found at Target, Walgreens and Walmart. We are currently workin’ on our second bottle of the Aloe and Avocado conditioner. It’s a winner in my opinion and is definitely worth a try. A few months ago I learned more about Aloe Vera and how it can help restore the natural pH balance of my hair. This had me wondering what would happen if I added Aloe Vera juice to one of my staple products Eco Styler gel. 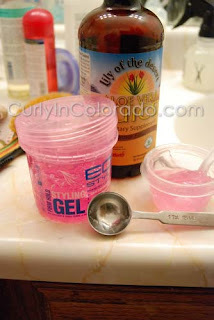 I’ve been using this gel for my wash n’ go styles and whenever I need to slick down my edges. However, if I forget to apply enough moisturizing products underneath it, my hair ends up a little on the crunchy side. So, I figured why not add aloe vera and see if that makes a difference since it will help bring the pH of the gel down (hopefully). I don’t have pH tester strips yet so I can’t verify what pH I ended up with but the results were good. 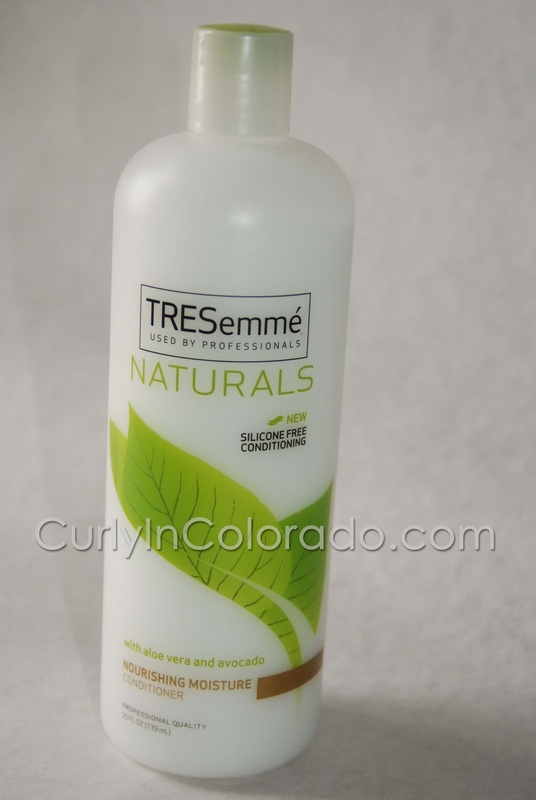 The product, as always, helped define my curls. Upon drying though; dry crunchy hair. What gives?! ﻿﻿﻿﻿﻿﻿﻿﻿﻿﻿﻿I’ve been learning in the past few months that it’s not just the pH that is important but also the ingredients. This little experiment made me realize that it may be the glycerin in the product that always gives me the “Ramen Noodle effect” which is why I always need use oil and conditioner underneath. Also, living in a dry climate where there is no humidity present can also add to the drying (not moisturizing) effect of the glycerin. For now, I’m avoiding the Eco Styler or using it sparingly until I can figure out the combination that works for me.